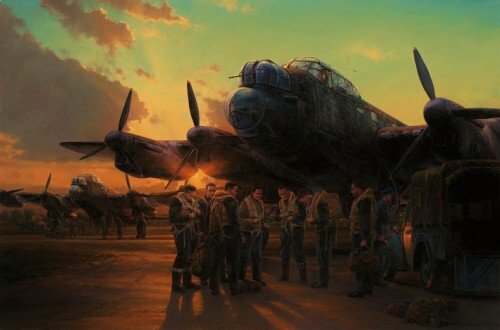 RAF Scampton: 16 May 1943 20.55 hrs - Guy Gibson readies his crew to climb inside their waiting Lancaster – AJ-G ‘George’. A red flare will soon curl skywards, burning brightly against the sun’s fast-fading rays; it is the signal to start engines and at 21.39 G-George will get airborne, leading the first wave of three aircraft. For the crews of 617 Squadron the weeks of intensive training were now over – Operation Chastise was underway. The buzz of excited conversation dropped into silence as Gibson addressed them, and the secret was shared: their small force was about to attack the major dams of western Germany. It was what they had been waiting for and they would go that night. Corporal MAUREEN STEVENS WAAF Served as the duty operator in the main control tower throughout the Raid, relaying information from the aircrews to the senior Commanders. She talked the surviving crews back to Scampton and also had the sad task of listening out till the last for those who didn't make it home.